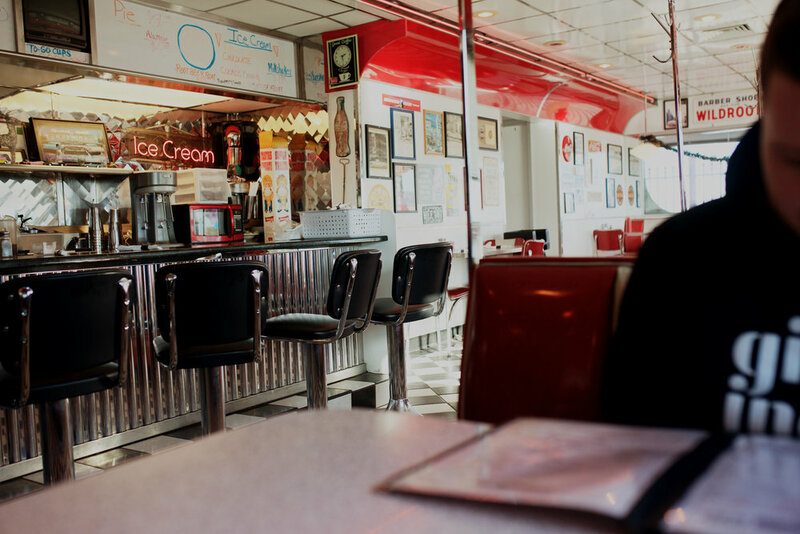 there's something so nostalgic and fun about diners, you know? they definitely speak to my wistful heart. 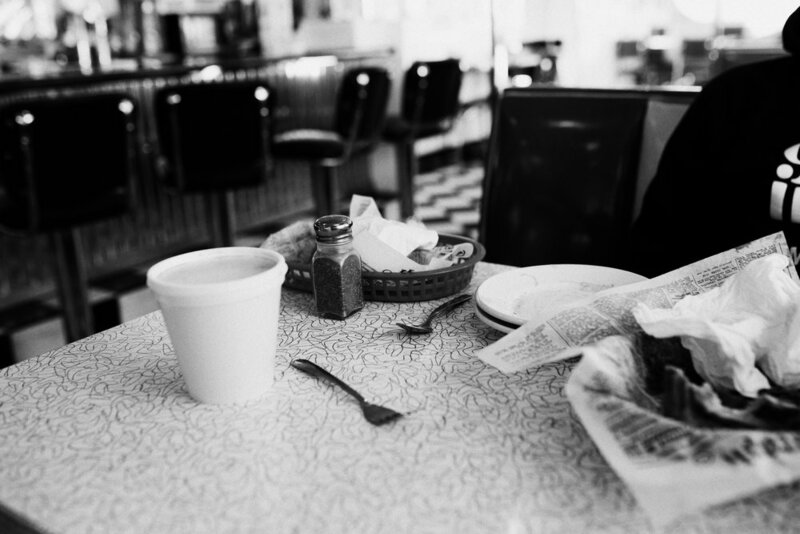 Chris and i are both foodies and he has a pipe dream of owning his/our own diner someday, complete with retro diner mugs and a healthy/vegan friendly menu. is that an oxymoron, healthy diner food? nah. 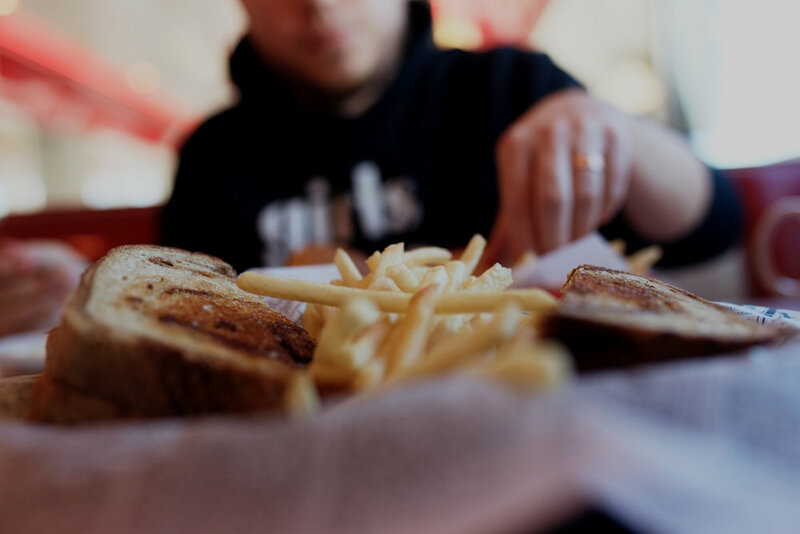 so we've decided to begin a diner tour of the U.S.A. and see how many unique, delicious diners we can find and get inspiration from, while i photograph them along the way. i follow a few on Instagram and we hope to happen upon some on each road trip we go on. 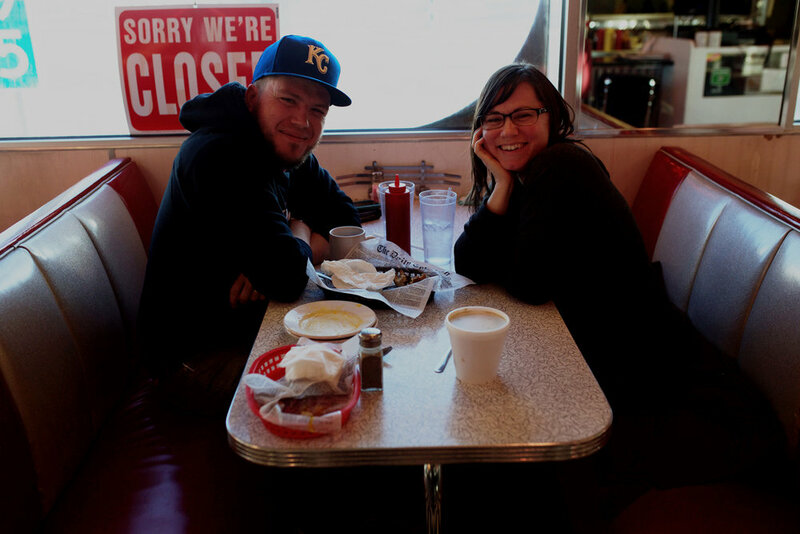 so on our way to Colorado for Christmas this past year (2017), we stopped at our favorite (so far) diner, the I70 Diner. we tried it out for the first time last summer and are already hooked. I decided to bring my camera in this time and was happy i did. i've been craving their patty melt since our summer trip and Chris tried their sliders with a side of eggs. 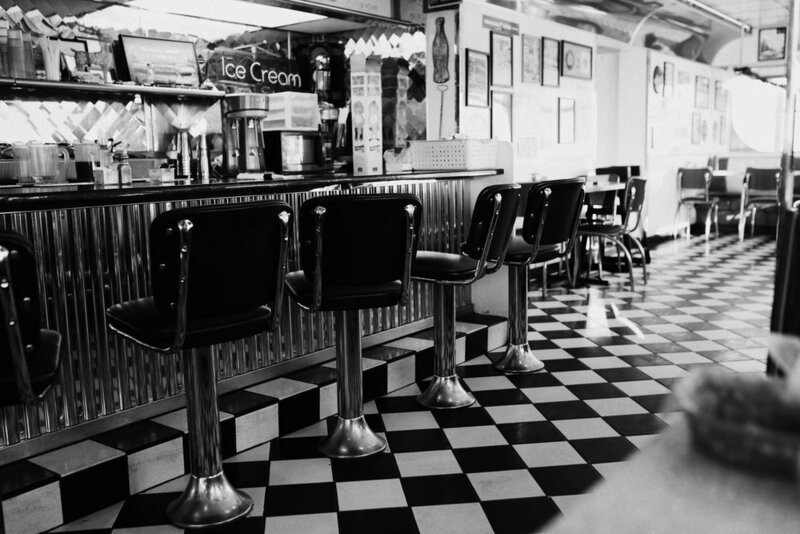 ALSO, if you know of any diners, please let us know in the comments! we'd greatly appreciate it!